A Russian booster rocket has blasted off from the Odyssey launch pad in the Pacific Ocean as part of the Sea Launch project to deliver a U.S. satellite into orbit, a spokesman for Energiya space corporation said on Sunday. “The launch took place at 10:55 a.m. Moscow time [06:55 GMT]. The designated time for the spacecraft’s separation from the DM-SL acceleration unit is 11:25 a.m. Moscow time [07:25 GMT],” the spokesman said. 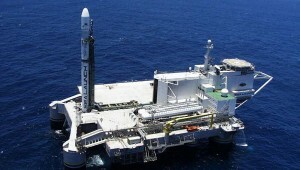 Odyssey, positioned on the equator, is a converted oil rig operated by the Swiss-based rocket company Sea Launch. The initial launch of the spacecraft was scheduled for August 15 but it was postponed several times due to various reasons. The 5,980 kilogram Intelsat 21 is a geostationary communications satellite built by Space Systems Loral to provide telecoms services to high-growth markets around the Pacific Rim, including Southeast Asia, Australia, New Zealand, and U.S. West Coast.